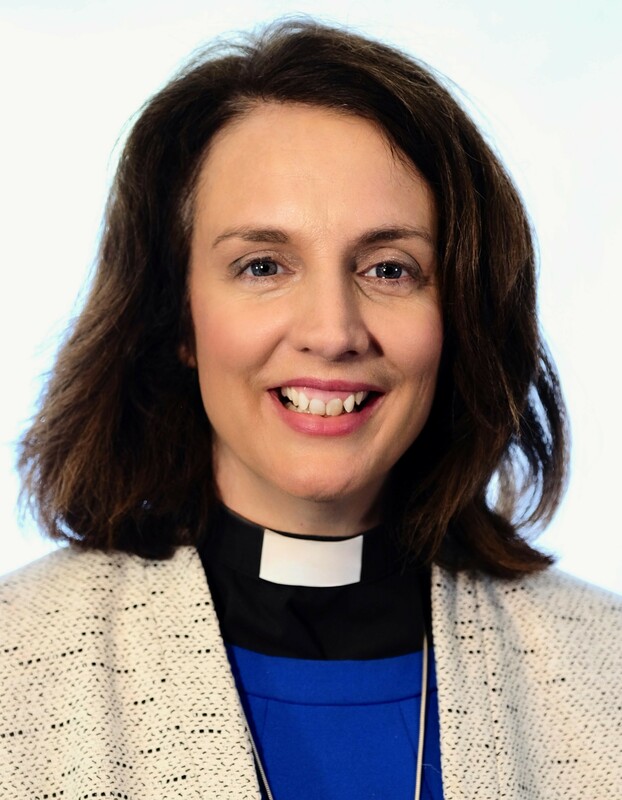 Bolton-born Rev Dr Jill Duff, 45, is currently the founding Director of the St Mellitus College, North West, which is the first full-time ordination course in the North West for over 40 years, offering context-based ordination training and theology courses. Rt Rev Julian Henderson, Bishop of Blackburn, made the appointment following consultation with a representative group from the Diocese. The Archbishop of York has welcomed the announcement which was approved by Her Majesty The Queen and posted to the Downing Street website at 10am. Jill succeeds Rt Rev Geoff Pearson, who retired last July. The date of her consecration at York Minster is June 29, 2018. The Bishop of Lancaster-designate was introduced by Bishop Julian at Marsh Community Centre, Lancaster, this morning, alongside the Suffragan Bishop of Burnley, Rt Rev Philip North. Joining the Bishops were other members of the Bishop’s Leadership Team. Later, Jill will move on to the region’s Anglican Cathedral in Blackburn where the Dean of Blackburn, The Very Rev Peter Howell-Jones, will introduce her to members of the Cathedral Chapter over lunch. Today’s events will be live-tweeted on our Twitter feed. You can also watch a recording of our Facebook Live broadcast of the announcement. Album of pictures from the announcement on our Flickr feed. In the afternoon Jill will visit St James’ Lower Darwen. This church is home to the Diocese’s new Leadership Hub in outer estates ministry for both lay and ordained training, part of an ambitious programme aimed at deprived urban estates in Lancashire, greenlit for funding by the national Church towards the end of 2017. The Leadership Hub has been developed in conjunction with St Mellitus College and Jill has already been working closely with the Bishop of Burnley, Rt Rev Philip North and St James’ vicar Rev Tim Horobin on the project. The rest of the day is given over to private appointments. Introducing herself, Jill said: “I am thrilled and humbled to be appointed the eighth Bishop of Lancaster. This is a vibrant and exciting part of the Church of England with its Vision 2026: Healthy Churches Transforming Communities. Being born and brought up in Lancashire, the region has been on my heart in prayer for many years. “Time and again I have seen how, with prayer and perseverance, churches can grow and it will be good to be part of a courageous Diocese that is looking to the future with real hope. Jill continued: “I’ve been attracted by the sheer variety of Blackburn Diocese – in the range of its parishes, settings, and church traditions. The Bishop-designate is married to Rev Prof Jeremy Duff, who is Principal of the St Padarn’s Institute in the Church in Wales, and they have two sons, Robbie, aged 13 and Harry, aged 10. Read the speech given today by Jill at the announcement event in Lancaster. Introducing Jill to the Diocese as the future Anglican Bishop of Lancaster, Diocesan Bishop Rt Rev Julian Henderson said today: “Bishop Philip and I are delighted to welcome Jill as a new member of the episcopal team here in the Diocese. Echoing Bishop Julian’s words, Rt Rev Philip North added: “The commitment to mutual flourishing enshrined in the five guiding principles makes possible the kind of fruitful working relationship that I am looking forward to having with Jill in her new role. I am convinced that she will support and encourage Anglicans in Lancashire of all traditions. The Archbishop of York, The Most Rev and Rt Hon John Sentamu, has added his voice to those welcoming the new Bishop-designate of Lancaster saying: “I am delighted that Jill will be joining the Episcopal Team in the Diocese of Blackburn. As Bishop of Lancaster she will bring her gifts as a Theological Educator to refresh theological wisdom in the Diocese. Background information about the title of Bishop of Lancaster and list of previous Bishops. Hobbies: In spare time with her family Jill enjoys walking, wild camping and holidays in the fresh air with big vistas – whether sea or mountains. Jill also enjoys seeing friends; running; journaling; playing the piano for relaxation; photography and writing fun lyrics to well-known songs as the occasion demands!